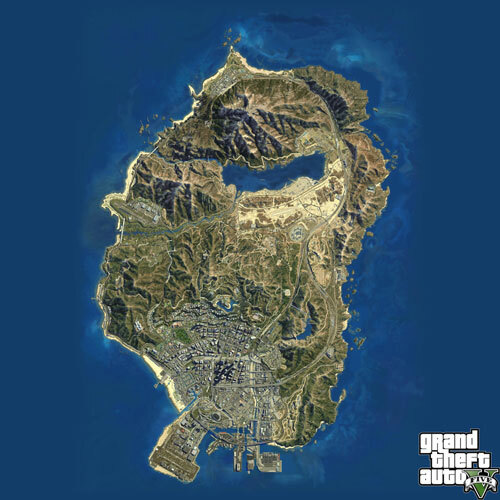 This page has been updated with an ultra high resolution map of GTA 5. Click the map below for the full size. There is also an Interactive Map is a Google-style map anyone can edit or add too. Update: Also check out this awesome 3D map of the world!